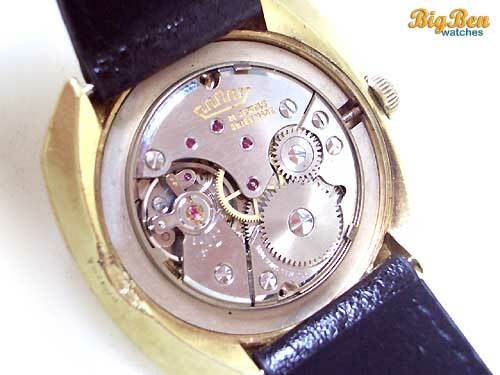 This watch was SOLD on June 23, 2008 (Destination: Quezon City, Metro Manila, Philippines). 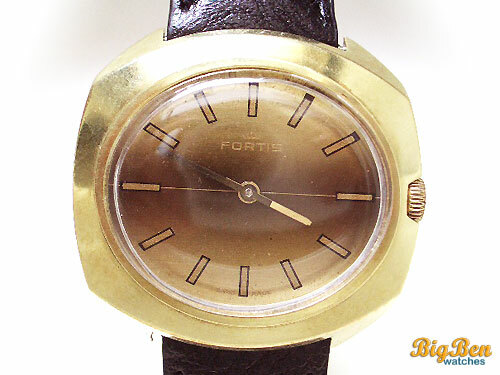 This is an authentic Swiss-made FORTIS Manual-Wind Watch. 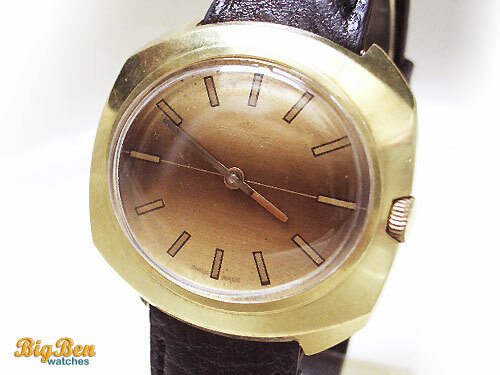 has a gradient bronze-gold dial or face. has bar hour markers . gold FORTIS symbol logo & FORTIS name logo are at 12 0'clock. 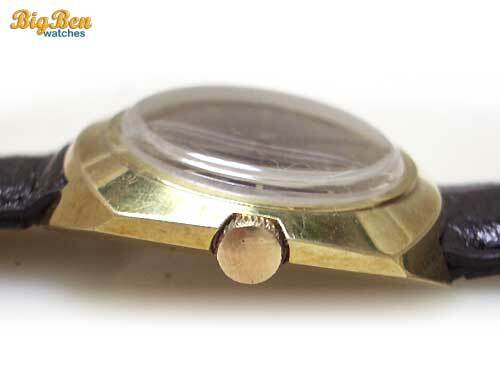 The gold detailing may seem faint in the photos but it is actually very clearly-marked. 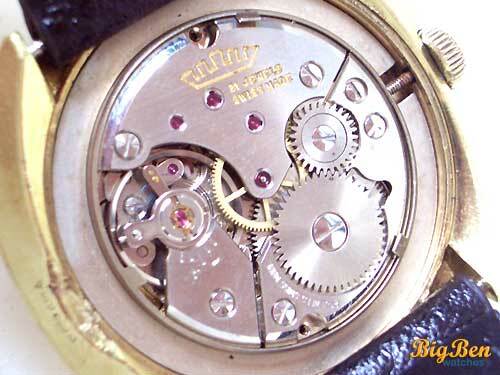 gold "SWISS MADE" are at 6 0'clock. 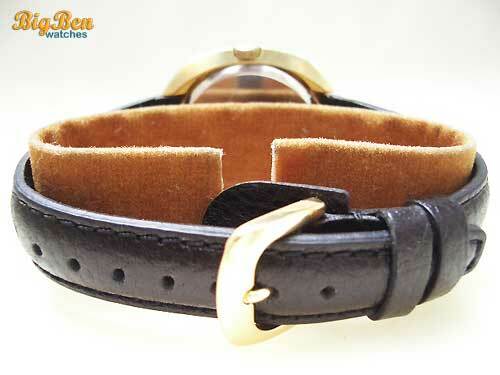 has a new black leather band. 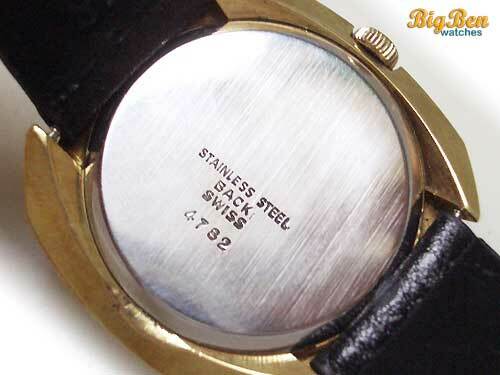 gold-filled case back is embossed with "STAINLESS STEEL BACK", "SWISS" serial numbers. 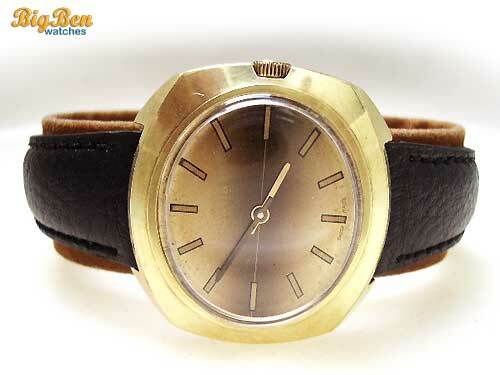 We cannot guarantee the effectiveness of its waterproof closure because this watch is vintage. 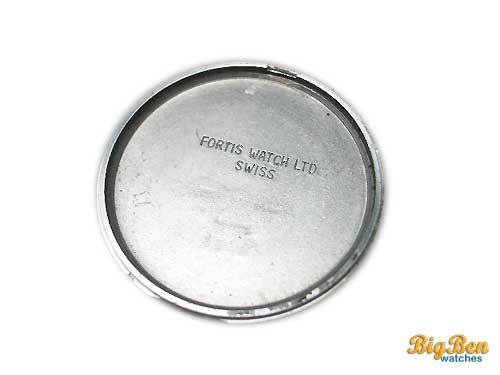 reverse side of case back is embossed with a "FORTIS WATCH LTD" & "SWISS". 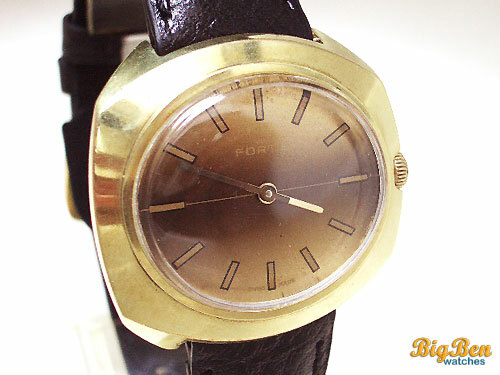 has a Swiss-made FORTIS 21 jewels manual-wind movement.